Below is an excerpt published and copyrighted by Frank Padilla of RESTORATION MOVEMENT FOR FAMILY AND LIFE MINISTRIES, INC. based in Mandaluyong City, Philippines. It is so well written, that it's well worth sharing! This is the final part of the second section of the little booklet. 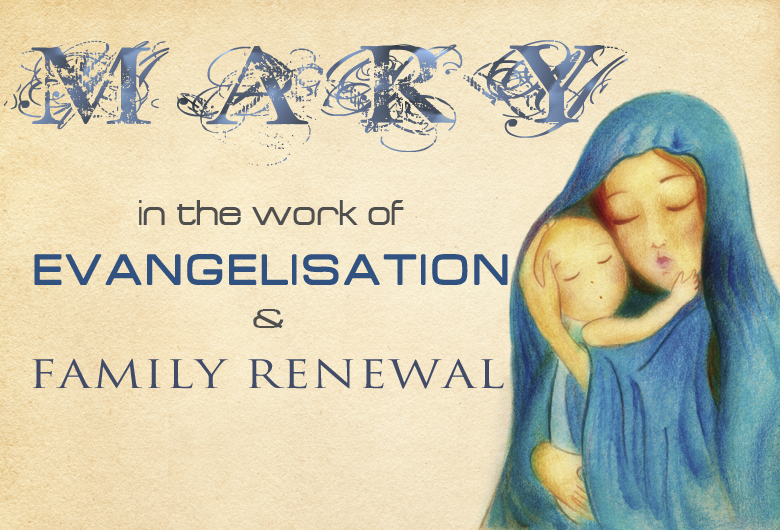 There is one person whom we can never ignore in our work of evangelisation ad family renewal. That is Satan. Satan opposes anything and everything that is of God. Satan wants to destroy God's work, foremost of which is the family. Satan attacks and oppresses those who do the work of evangelisation. When we evangelise, we automatically get involved in spiritual warfare. When we evangelise, we are working to bring Satan's captives away from his dominion and back into the kingdom of God. He will not idly sit by as that happens. He will attack with all his might. When we work to renew and strengthen the family, Satan also will not sit idly by. He is committed to destroy the family. He does not want to see family relationships that reflect the relationship within the Godhead. He opposes the formation of homes that are pieces of Kingdom ground. He will strongly move to destroy the training facilities for evangelisers and missionaries. Now when we talk about Satan and spiritual warfare, we see that in the midst of it all is Mary and her Son Jesus. This makes the conflict a family affair. Look at the Bible, which relates to us the history of salvation, from Genesis to Revelation. In the book of Genesis, Satan is able to thwart God's plan causing Adam and Eve to disobey God and this sun, resulting in their punishment and eventual expulsion from paradise. But God does not give up His plan of having His creatures together with Him in perfect and eternal bliss. So if not there in paradise, then it would be later in heaven. God then puts His plan of salvation into action, beginning with a prophecy about the Saviour. "I will put enmity between you and the woman, and between your offspring and hers; he will string at your head, while you strike at his heel." (Gen 3:15). Amidst the gloom and doom, there is this ray of light and hope. The woman and her offspring mentioned are two persons who are not even supposed to be in the scene in paradise. The only protagonists there, aside from God, are the serpent, Adam and Eve. But according to the prophetic word, the offspring of the woman is Jesus. And the woman of course is his mother, Mary. The spiritual warfare was occasioned by God's plan of salvation. According to that plan, mother and Son are at the forefront of the spiritual warfare that has started in paradise. Now fast forward to the book of Revelation. Actually, as we shall see, it is more of fast backward to a time even before the creation of the world and the conflict in Eden. Here we see in Jon's vision the appearance of "a woman clothed with the sun, with the moon under feet, and on her head a crown of twelve start." (Rev 12:1). She was pregnant with child and about to give birth. Then there was a huge red dragon waiting to devour her child when she gave birth. The woman did give birth to a son, and the dragon failed to devour him. She herself fled to a place prepared by God. "Then war broke out in heaven" (Rev 12:17). The archangel Michael with his angels fought against the dragon with its angels. "The hugh dragon, the ancient serpent, who is called the Devil and Satan, who deceived the whole world, was thrown down to earth, and its angels were thrown down with it." (Rev 12:9). Satan was defeated by Michael. This happened before the events in paradise. In Eden it was already Satan who tempted Eve and caused her and Adam's downfall. The spiritual warfare did not end with the epic battle in heaven. The dragon pursued the woman. Then, angry with the woman and frustrated with its inability to destroy her child, it "went off to wage war against the rest of her offspring" (Rev 12:17). Those are us! As we do the work of evangelisation, we engage in spiritual warfare. This war is intense, as "the Devil has come down to you in great fury, for he knows he has but a short time." (Rev 12:12). Once again, as in the book of Genesis, the spiritual warfare is between the serpent and the woman and her son. And again, the son is Jesus and the woman is Mary. As we look at the history of the work of salvation, punctuated by constant spiritual warfare, we see that it is Jesus, and Mary, who are right in the midst of it all. There were many happy times in the life of mother and Son. One was the delightful incident at the wedding in Cana. The wine had run short and Mary brought it to the attention of Jesus. Jesus rebuffed her, saying his time had not yet come. Mary just confidently "said to the servers, 'Do whatever he tells you.'" (Jn 2:5). Jesus then performed his first miracle. Even here, mother and Son teamed up to redeem the disastrous situation of wine running out in the midst of the wedding celebration. But the most important work of redemption happened on the cross at Calvary. Jesus gave his life for the salvation of the world. True to her prominent role in the history of salvation, it was fitting that right there at the foot of the cross was Mary. She was right there at the beginning when Jesus came to live in and from her womb' she was right there at the end when Jesus gave his life and died on the cross. She was there in the beginning when enmity between her and the serpent was pronounced by God, with the prophecy that her Son would crush the serpent's head; she was there in the end at the foot of the cross when Jesus, together with his subsequent resurrection, did in fact crush the serpent's head. Now something else very significant happened. "When Jesus saw his mother and the disciple there whom he loved, he said to his mother, 'Woman, behold, your son.' Then he said to the disciple, 'Behold, your mother.' And from that hour the disciple took her into his home." (Jn 19:26-27). Jesus, after his death and resurrection, would ascent into heave. But the tandem of mother and son would continue in the work of salvation. Jesus gave Mary and John to each other. John represents all of us. We are the disciples whom Jesus loves and whom he looks to to proclaim the salvation he won on the cross to the whole world. In order for us to effectively do that, we need our mother Mary. She is the one ho gave birth to the Saviour, and she is the one who has been prominent in the spiritual war that has descended upon the world. 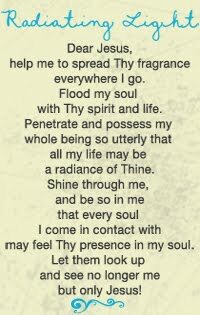 Just like John, we are to take Mama Mary into our homes. With her wisdom, guidance and intercession, we will be able to effectively face and defeat the enemy. With her maternal love present in our homes, we will be families that God can use to accomplish His work of salvation.